I have been addicted to cereal since the age of whatever age you are when you start chewing solid food. Even as a kid I tried to get every new cereal possible, but apparently I missed the hype of French Toast Crunch when it was originally out. Since Cinnamon Toast Crunch has always been one of my favorites, I can’t imagine not having French Toast Crunch. However, I can’t ever remember having an opinion on it. I didn’t like Waffle Crisp or Eggo Cereal – so maybe I just lumped French Toast Crunch in with the other syrupy cereals. 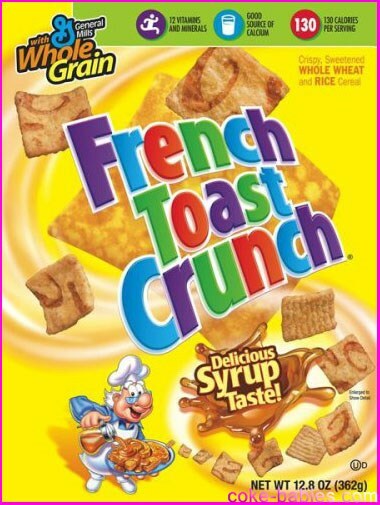 That exciting personal anecdote serves to reintroduce us to French Toast Crunch. Like with Surge, it seems that companies are realizing that the internet’s loud and annoying voice sometimes indicates an actual void for a product – not just our usual desire for our stupid opinions be heard by any means necessary. Since I was never into French Toast Crunch originally, the apparent clamoring for its re-release was something I was only mildly aware of, but obviously didn’t partake in. My “Please re-release this!” efforts have been focused more on other items, including Bonkers and Crispy Wheats ‘n’ Raisins cereal. Bonkers actually are making a return, which will be amazing. Crispy Wheats ‘n’ Raisins, not so much yet. The packaging for French Toast Crunch is nice in its simplicity. A bold red box with basically just a logo and the cereal pieces on a spoon gives the box a retro charm without seeming pandering. No matter how old I get, I don’t think I will ever tire of Cinnamon Toast Crunch and its offshoots’ logos, with the variety of simply-colored letters. 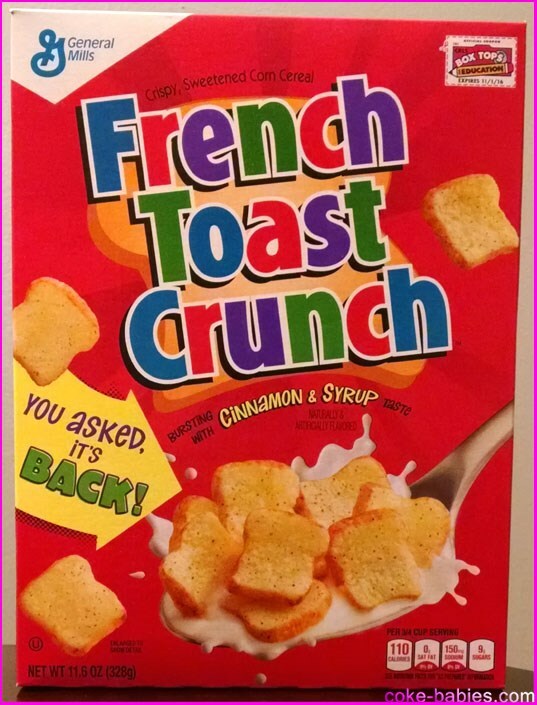 This box design is almost identical to one of French Toast Crunch’s older designs, but with the “You asked, it’s back!” proclamation taking the place of Wendell the baker. General Mills might be using this design to distance themselves from Wendell, due to the growing belief that he killed Bob and Quienno, the other two bakers, in order to have the spotlight to himself. I’m very happy that General Mills went with the red box, instead of this other version it used to have. This version is actually more in line with the aesthetics of the current Cinnamon Toast Crunch box, but if you’re going to bring back an old product, you might as well make that as obvious as possible. Also, the red box is just so much more awesome. The back of the box is something I’ll get to at the end, so as not to break up the cereal discussion. Since I don’t remember actually eating French Toast Crunch, I don’t remember the cereal pieces. Or, to be more accurate – I don’t remember how freaking awesome these cereal pieces are. French Toast Crunch could have been a lazy cereal piece – give people a vaguely slice of bread-shaped piece, and that’d be good enough. Instead, General Mills goes all out – the pieces are distinctly bread-shaped, it has a crust, it has visible cinnamon, and the cereal piece’s coloring makes it look like French toast soaked in syrup. Cereal pieces are often underwhelming, and are rarely flat-out impressive. French Toast Crunch’s cereal pieces deserve an award for accuracy. The visuals are a great start, but more important is the taste. And French Toast Crunch is good. I know I will let some long time fans of the cereal down by not being over the moon about it. But I’ve never been a syrup-cereal guy, so the fact that I enjoy this says a lot for the cereal. 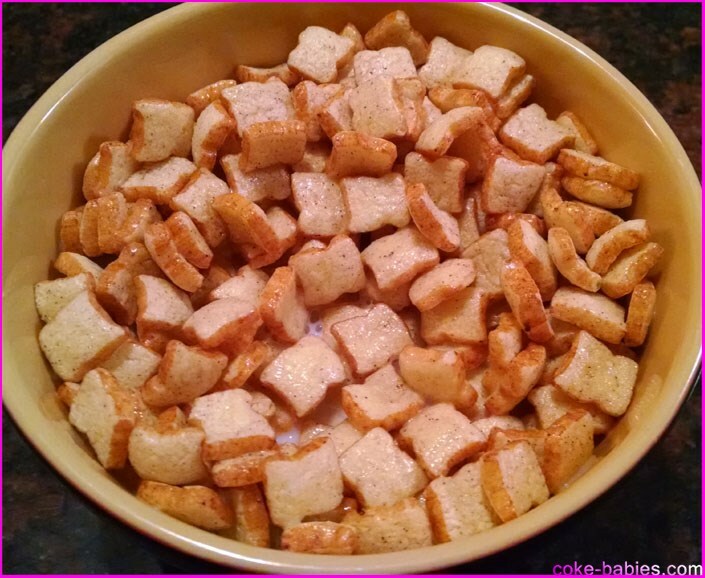 French Toast Crunch is enjoyable, to be sure – the pieces have a nice crispy yet airy and slightly chewy texture. Best of all is the fact that the sweetness isn’t at violent levels. An artificially-sweetened cereal meant to taste like a very sweet breakfast food could be disastrous. Instead, French Toast Crunch is relatively restrained, and has a very appropriate level of sweetness. So while French Toast Crunch won’t rank as one of my favorite cereals, it is quite good. I’m happy that fans of the cereal have it back, and I’m happy that a once-extinct cereal has returned. That bodes well for other potential cereal returns. Well played, internet. As mentioned above, the box’s design is very well done – until you flip it to the back. 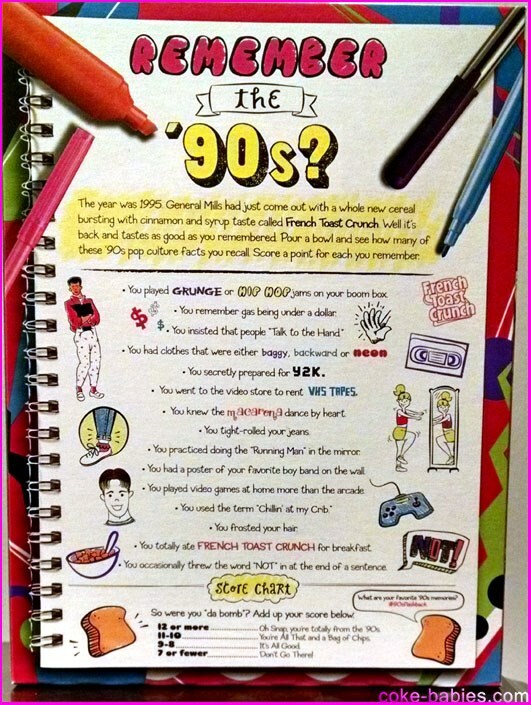 On the back of the box, you will find one of those stupid “Only 90’s kids will get this!”-type quizzes. So, for the sake of a thorough French Toast Crunch review, I will take this quiz. You played grunge or hip hop jams on your boom box. I guess I’ll count that one for me. You remember gas being under a dollar. You insisted that people “Talk to the hand”. You had clothes that were either baggy, backward, or neon. Guilty on all three counts. Though wearing backwards clothes is absolutely acceptable on National Kris Kross Day, a holiday to pay tribute to an important part of our nation’s history. 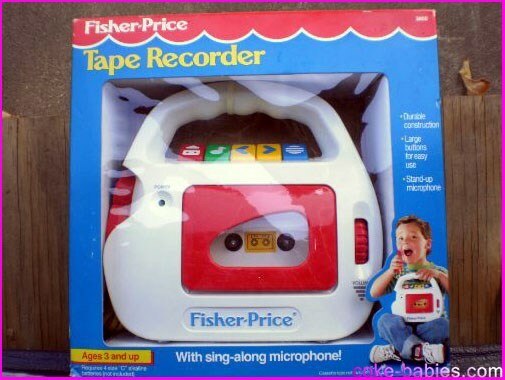 You secretly prepared for Y2K. I didn’t, but my parents did. You went to the video store to rent VHS tapes. That seems like a gimme, but sure. You knew the Macarena dance by heart. You practiced doing the “Running Man” in the mirror. You had a poster of your favorite boy band on the wall. I had a metal army tin originally meant to hold ammo that I filled with New Kids on the Block cards. But no poster. You played video games at home more than the arcade. Eventually, this was probably true. You used the term “Chillin’ at my crib”. Dyed blue, yes. Frosted, no. You totally ate French Toast Crunch for breakfast. You occasionally threw the word “NOT” at the end of a sentence. This is true – NOT. But seriously, I never did this. So according to the score chart, my 90’s-ness ranks as “Don’t Go There”. Oh well.